The Amazon.com reviews for this Scooby Doo Haunted House Game say it is AWFUL. Falls apart, vague instructions, etc. Have any of you fellow Monster Kids actually set this thing up and played it?? I ask because I have a 3 yr. old who loves games and scary stuff (wonder where he gets THAT from???) and would like to get it for him but it sounds piss poor! "Supernatural perhaps, baloney perhaps not!" We have had this game since Christmas and play just about every night. The game is not real sturdy when it is set up, expecially when little guys are pushing down on the ghost on top. I mounted ours on a piece of plywood and painted it, so it would be real sturdy, but does not store well. Although who needs to store it when you can leave it out as a display piece. Well worth $20. Found this today at a local sale, looks like it is an AHI jiggler from 1973, but I was curious if there is any value. Saw another one listed on Ebay for $100, buy it now, but I don't think that means anything and another advanced search for $75 that never sold. I have a feeling its worth more than the $2 I paid for my wiggly jiggly find.Any info would be appreciated. Yes, that is an AHI Mummy jiggler. No elastic string or tag, and it has some discoloration - if I were selling it I would probably ask $25 and go from there. Probably it would eventually sell at $20, so definitely worth a $2 investment. Cool find! Yes, cool find and worth more than $2! "There is something wrong with us, very, very wrong with us"
The Harryhausen Griffon was the only one of his kind in the store - I had hoped to find some more X-Plus figures but the guys there said they had sold theirs long ago. 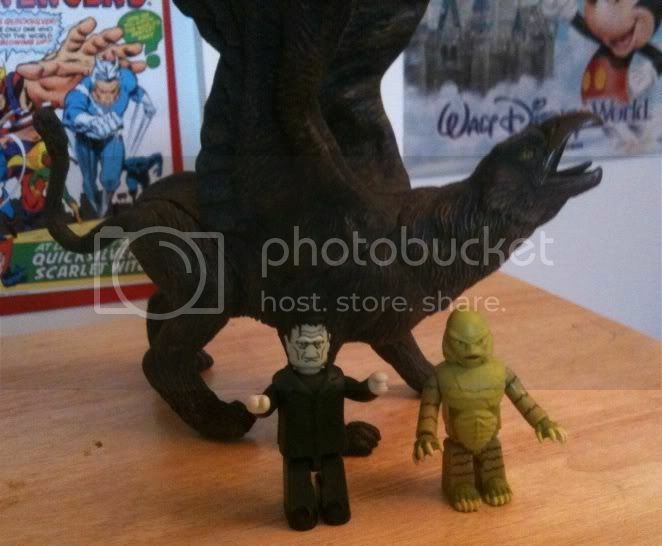 The two Universal Monster Kubricks were too cool to pass up. 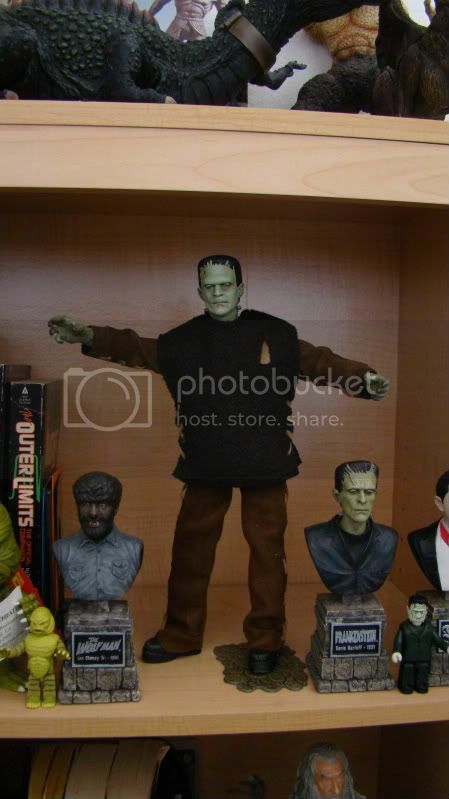 I managed to get this 12" Sideshow Son of Frankenstein via a second chance deal on ebay. I originally lost the auction by less than $1! Not sure what happened but the next day the seller offered it to me for my original bid, and now the Monster is the newest member of my menagerie. I just love that big old vest! 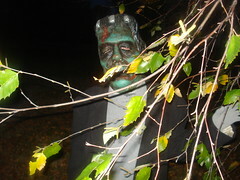 Man, that Frankie is awesome!! If you don't mind my asking, how much did it go for?? We're all here because we're not all there. hey Scatter, glad you like it! The price was $32 plus $15 for shipping, so $47 total. 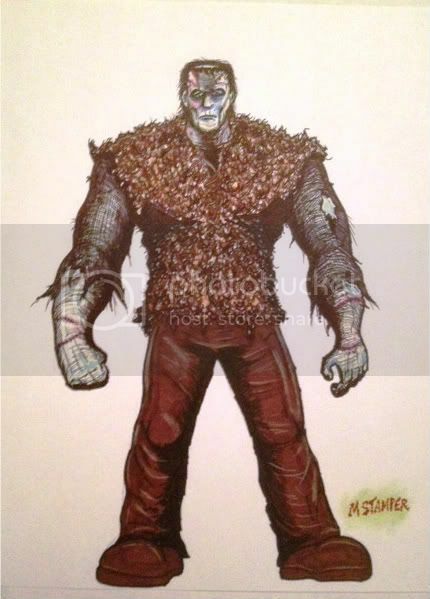 Now if I can get a Wolfman in that range, I'll be able to stage a Karloff Frankenstein vs. Wolfman fight - the one I always wanted to see! Sweet deal!! I'm pulling for you to get Wolfie too. You can create a Harryhausen-type stop motion battle and post it here!! Shoot, all you got is time, right?? IMHO, that's one of the better Sideshow Franks. Very nice sculpt and clothes. Too bad the premium format Frank is nowhere near as good. I have three of these and I would say yours is worth btw $40 and $60. Nice mummy. Don't be afraid to try cleaning it with some soap and water, they often clean up perfectly. The pink on the arm is probably from the tag....anyway, I'd say just keep it. Thanks AHI CREATURE for the advise. I think this is in really good condition and will reshoot so it doesn't look so washed out. There is alot more color than this pic show. The head just looks fantastic - much better at capturing Karloff's likeness than the mini-bust I have next to it (from the Legacy DVDs). Now if only they had included a little Donnie Dunagan for the monster to rest his foot on!